The liver is an irreplaceable organ without which the human body could not function. The liver is essential for bile secretion and in the processing of harmful substances into urea. Injuries to the liver can, over time, lead to diseases that affect your overall health. Located in the abdomen and under the ribs on the right side of the human body, the liver is our most voluminous organ. (1) It has many functions, such as filtering toxins, redistributing nutrients and producing digestive enzymes. All these functions make it a vital organ connected to the whole body. The liver collects and redistributes the nutrients in the body and muscles through bloodstream. The organ identifies and breaks down the components absorbed, either carbohydrates, fat or protein and acts as a reserve of energy for our organism. Harmful substances such as tobacco, alcohol or fine particles are processed by the liver, and then discharged from the body through the kidneys, digestive or sweating. (2) The liver also regulates the quality of nutrients carried by the blood, as well as creates antibodies that fight against blood infections. Digestive functions also have their origins in the billions of liver cells that secrete bile. Many external factors limit the regulating and purifying action of the liver. If an area is ravaged, the liver regenerates its cells, but when it is commonly subjected to harmful substances, it cannot fully perform its vital functions. Poor diet in terms of quality and quantity overload the liver and makes it “fat”. (3) Eating too many carbohydrates will create an accumulation of carbohydrates in the liver. Without physical activity, the liver cannot redistribute the nutrients provided by starches. Overweight is also a bad liver function factor, by the poor perfusion of liver cells and storage of bad substances. Tobacco and alcohol also have a direct impact on the functioning of the liver: indeed, the toxins of these substances are difficult to synthesize and to evacuate. Excessive drinking of alcohol also increases fat content of the liver and over time, may interfere with regenerative processes. While the liver has regenerative properties, sustained injuries can cause scarring, which in advanced cases may be irreversible and limit the ability of the liver to regenerate. 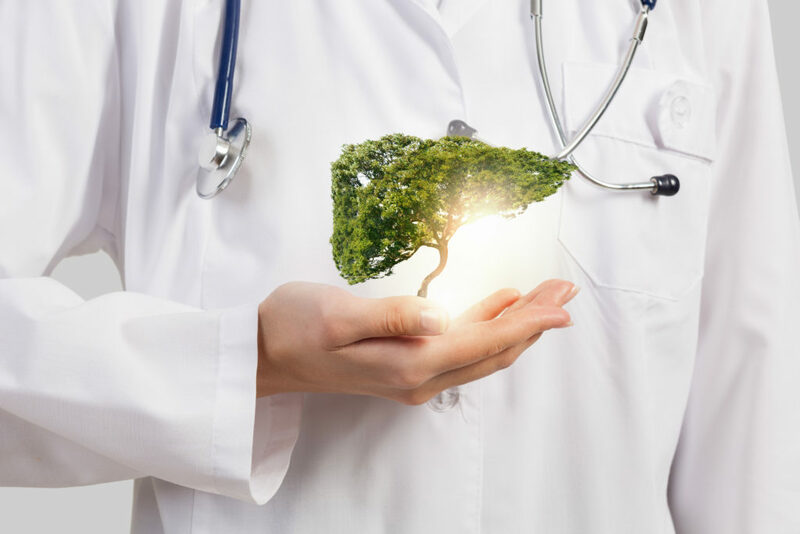 While advancing liver disease may be asymptomatic, often times, elevated liver enzyme and even jaundice can be an initial symptom of a liver disease. Sustained injuries can be caused by viral infections, including hepatitis B or C, or the buildup of fat deposits in the liver cells. While people often associated cirrhosis of the liver to excess alcohol intake, it is possible to develop cirrhosis without alcohol. Indeed, a liver which absorbs too bad fats or starchy foods can lead to such diseases. The diabetic conditions are also favored by over-consumption of this type of product. The liver is a key organ and liver disease affects the entire human body. Between the causes and the manifestation of a disease, the symptoms are often vague. A good liver health implies tobacco and alcohol limitation, and a diverse diet which allows the liver metabolize a variety of healthy nutrients. j’aimerais participer à d’autres quiz merci! Bonjour Assamoi, merci pour votre commentaire.